Trucking hours of service rules were created by the government to ensure drivers are not fatigued or drowsy while on the road, a leading cause of truck accidents. These rules dictate weekly and daily work and drive time limits for commercial truck drivers. 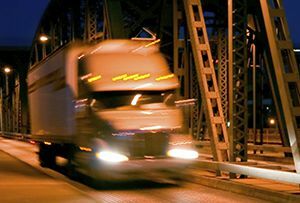 In efforts to improve roadway safety, the Federal Motor Carrier Safety Administration (FMCSA) issued new trucking hours of service in 2011, which were implemented in 2013. Among other provisions, the new rules indicated that two overnight periods must be used during the 34-hour restart option, and the restart could only be utilized once in each 168-hour period. If you have been injured in a truck accident contact one of our Tulsa personal injury attorneys today for a free consultation. Recently, the Government Accountability Office (GAO) released a report examining a study conducted in 2014 on the hours of service changes which went into effect in 2013. This examination also considered the assumptions and effects of the new hours of service rules. The GAO report found that in the 18 month period since the updated restart rules have been in place, roadway safety has improved. The FMCSA issued a response regarding the recent GAO report. Anthony Foxx, Transportation Secretary, states that the evidence contained in the GAO report further supports the efficacy of the FMCSA trucking hours of service changes in improving roadway safety. He noted that the FMCSA will implement suggestions made in the report and utilize the recommendations to strengthen research to ensure roadways are kept safe. Unfortunately, some companies ignore these rules, putting pressure on their drivers to complete more routes under tighter deadlines. Truck driver fatigue(http://www.edwardslawok.com/truck-driver-fatigue.html) remains a major cause of accidents involving commercial vehicles. Trucking companies may be liable for injury involving one of their drivers. If you or a loved one has been injured in an accident involving a commercial vehicle, contact The Edwards Law Firm, experienced truck accident lawyers in Tulsa. We are ready to help you get the compensation you deserve.